Over the Mountains and through the Woods is a little different take on Over the River and through the Woods. This is the 9th printable in the 31 Days of Free Printables series. I love Fall! One of my favorite things about it is hiking through the woods and the mountains. There’s something even more beautiful hiking through leaves in the crisp Fall air. 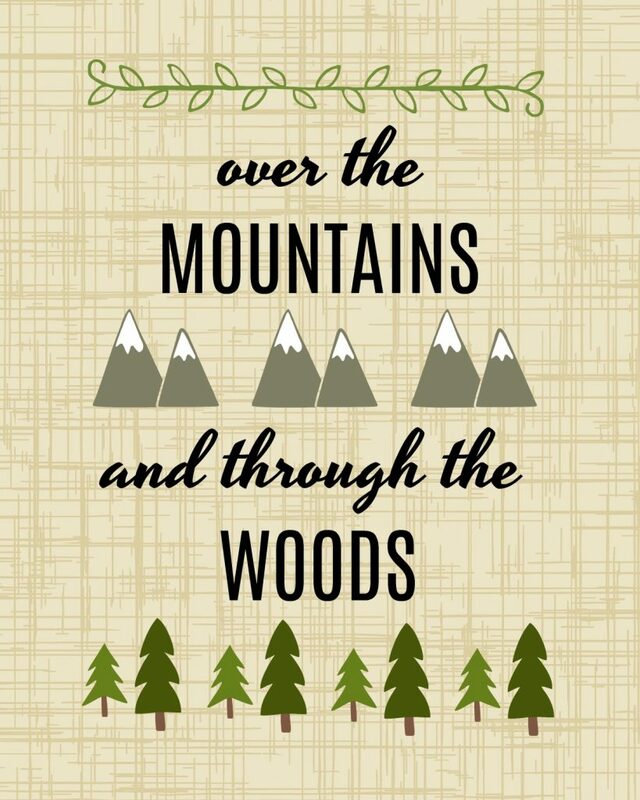 This printable is also a little different take on the traditional Over the River and through the Woods. Print it out and pop it in a frame for instant Autumn and even Christmas art.